The trees are ablaze in fiery reds. Excited children don colorful costumes. And there’s mystery and fun around every corner! When Addy, Michael, and Karl finish trick-or-treating, their bags are brimming with treats. But the fun isn’t over yet. Their good friend Stillwater the panda has one more special surprise in store for them. A mysterious visitor is about to tell them a spine-tingling story — one that will fill each and every reader with wonder. Publisher’s synopsis: It’s Halloween, and Splat is determined to be the scariest cat in the class. Unfortunately he’s just too much of a scaredy-cat. He’s afraid of a little spider, and everyone says his costume looks more silly than scary. And when Mrs. Wimpydimple tells a ghost story in the dark, Splat gets so frightened that he tips over his jack-o’-lantern. But when the lights go back on, the entire class is scared silly by a small, black, furry creature with a big pumpkin head. Whooooo can it be? Add this book to your collection: Scaredy-Cat, Splat! 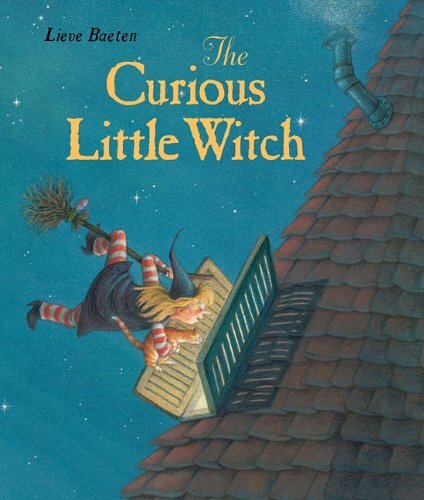 Publisher’s synopsis: What happens when a little witch gets curious? An international bestseller comes to the US! Lizzy is a curious little witch. Late one night she spots an old house all lit up when everyone else is asleep, and she can’t help herself. She just has to investigate. The Little Witch books have been favorites around the world for years. Now, at last, the irresistible Little Witch comes to America! NorthSouth is excited to launch this new Picture book series here in the Unied States. 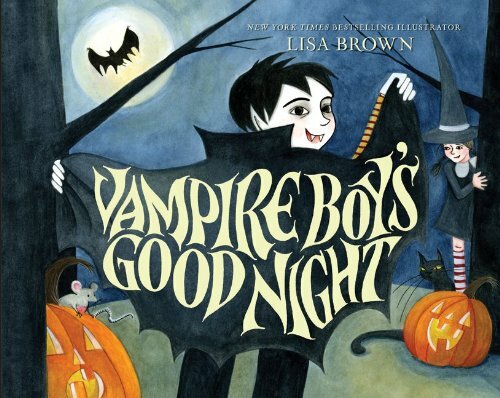 Publisher’s synopsis: When the sun goes down and everything is wonderfully cold and dark, a vampire boy and a little witch go searching for children in the night. But this is no ordinary night. 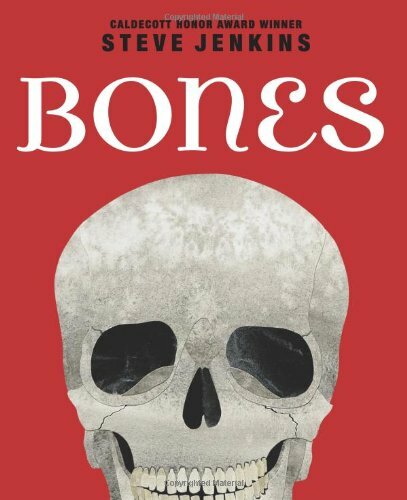 It is Halloween, and what they find may surprise them. . . .
Publisher’s synopsis: This book is far from skinny — it’s the definitive nonfiction title about human and animal bones, delivered with in-your-face accuracy and intrigue. In this visually driven volume, kids come face-to-face with some head-to-toe boney comparisons, many of them shown at actual size. Here you’ll find the differences between a man’s hand and that of a spider monkey; the great weight of an elephant’s leg, paired with the feather-light femur of a stork; and rib-tickling info about snakes and sloths. How many bones are in the whole human body?Kids find out when they open the three large gatefold spreads that reveal the hard (yet enjoyable) truths about the boney insides of Earth’s many creatures. 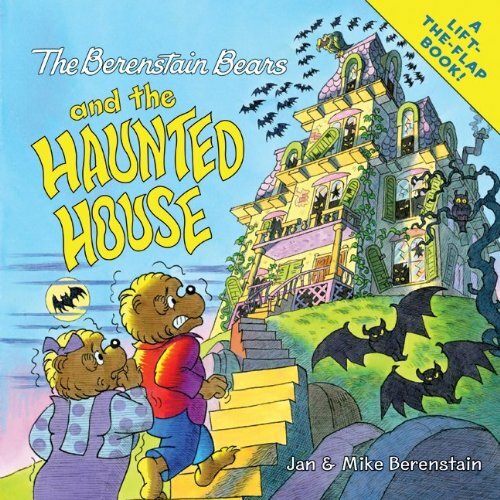 Publisher’s synopsis: Join the Berenstain Bears on their latest lift-the-flap adventure! Gracie the kitten has gone missing. Did she go inside the haunted house on top of Spook Hill? Brother and Sister gather up their courage to find out. 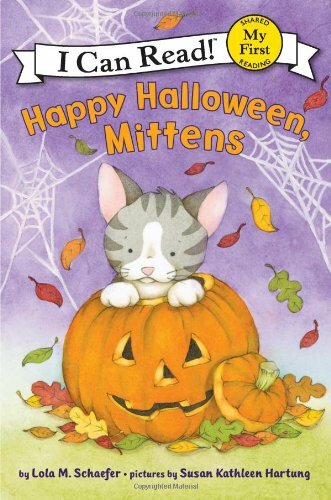 Publisher’s synopsis: Can Mittens find a way to join in the holiday fun? reveal the truth about that pesky ghost! Publisher’s synopsis: Casey Slater can’t believe her bad luck. 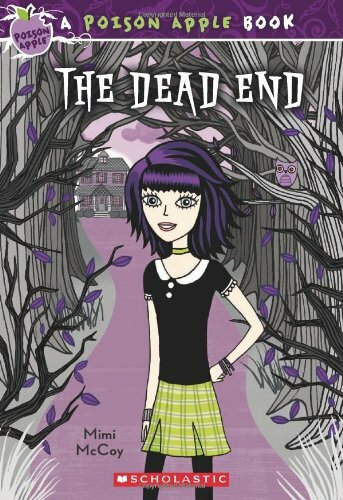 It’s the summer before seventh grade, and instead of the perfect vacation she’d planned with her best friend, Casey is in a remote country town, where her parents are restoring an old, creaky, creepy house. Worst of all, everyone else in town thinks the old house is haunted. And soon Casey thinks so, too — a vase explodes, a heavy china cabinet falls over on its own — and it seems like the ghost doesn’t want them there. Casey thought she’d be dying of boredom, but now she’s scared to death! Publisher’s synopsis: How serious is stage fright? At the Hanging Hill Playhouse, it can kill you. After narrowly escaping a malevolent spirit in The Crossroads, Zack and Judy are hoping to relax during the rehearsals for a show based on Judy’s bestselling children’s books. Little do they know that the director is planning to raise a horde of evil specters from the dead, and to accomplish this, he needs a human sacrifice . . . and Zack fits the bill perfectly. 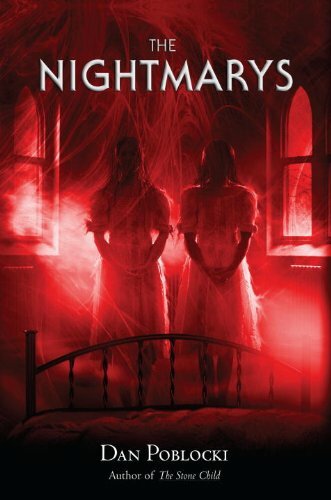 Publisher’s synopsis: Timothy July has been having nightmares. About his brother, who is in a coma after being wounded in Iraq; about his best friend, Stuart, who is behaving like a jerk; about the old biology specimens in jars lining the walls of his classroom; and about Abigail, the new girl who seems to be a magnet for trouble. Or perhaps she is the cause. 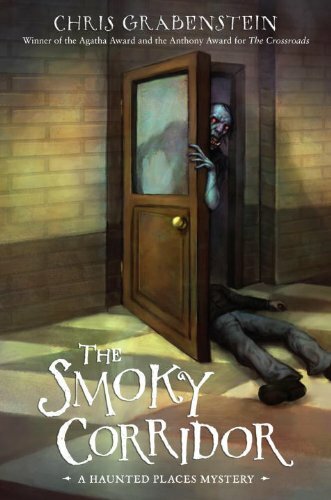 Publisher’s synopsis: Zack is about to start at his new school, and his dad, who went there years before, tells Zack the stories of the haunted janitor’s closet, the specter of a dead crossing guard, and the Donnelly brothers, who perished in a suspicious fire. Dad doesn’t know that Zack has already met the Donnellys’ ghosts, who have warned Zack that there is an evil zombie under the school. Zack also learns that while zombies are usually content eating corpses, if they happen to bite someone who isn’t dead, that person also becomes a zombie. Publisher’s synopsis: The Dangerous Book for Boys with a fantasy twist! Publisher’s synopsis: Here’s the first book in a brilliant new trilogy by the author of The Navigator. 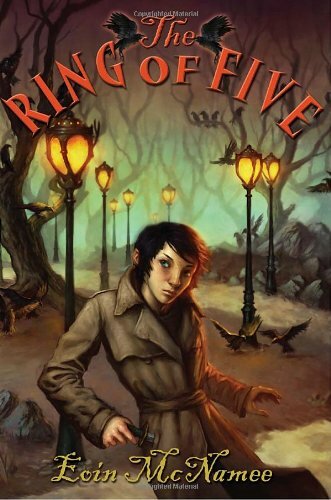 The Ring of Five, set at a school for spies, is full of surprises as well as fascinating questions about loyalty, destiny, and what it means to be a spy. Danny Caulfield doesn’t know how he ended up at a mysterious academy called Wilsons. A few of the students are pretty scary. Someone tries to murder him. Even the ravens that haunt the school seem to be against him. Yet he also finds friends: Les, an exceptional thief; Dixie, who has an unsettling talent; and Vandra, a physick with special powers. 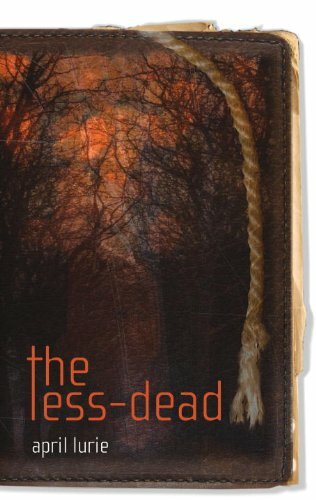 Eoin McNamee’s background as an author of adult thrillers informs this exhilarating, atmospheric adventure. Publisher’s synopsis: Noah Nordstrom has been dissing the religious beliefs of his father, who hosts a popular Christian radio show and whom Noah accuses of spreading hate. When two local gay teens are murdered, Noah’s anti-evangelism intensifies—he’s convinced that the killer is a caller on his dad’s program. Racked with guilt, Noah decides to investigate. He knows the serial killer is targeting gay teens, but only those who live in foster homes, whose deaths are not that important to society; they are the less-dead. Noah, however, is determined to prove that someone cares. With the help of Will’s journal, which he pocketed at the scene of the crime and in which the killer has written clues, Noah closes in on an opponent more dangerous than he can guess. 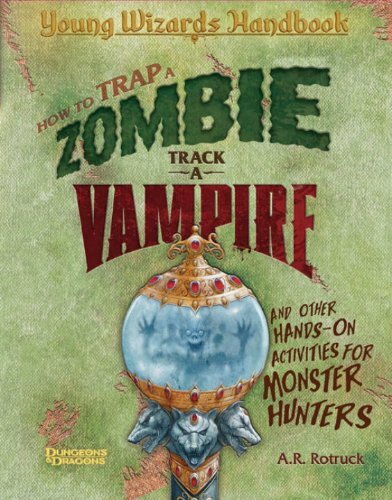 Trick-or-Treat: 20 more Halloween books for kids. Leave us a comment: Tell us about your favorite spooky read. Try writing your own Halloween books, you can now win a $500 cash prize for it! Batalugu, an online platform for writing, illustrating and sharing children’s books, is happy to announce its first Hallo-WIN book writing contest with a chance to win a US $500 cash prize. The contest invites participants to write and design a children’s book, using the Batalugu online platform. With Batalugu, anyone can write, illustrate and share magnificent children’s books for fun and educational purposes. Writing a book together with a child is a wonderful activity. Creating a book is quick, easy and free. Submissions may be fiction, nonfiction or poetry for children ages  to . The contest is open to writers worldwide, who have not previously had a children’s book published. Submissions by agents will not be accepted. Entries need to be submitted by October 31st 2010 at noon. Just thought I’d stop by and mention that my first children’s book is now published and available. It’s an ebook with the text being narrated and highlighted so the young reader can follow along. It’s currently available for free on the publisher’s website, Meegenius.com, and can be purchased for Ipads and Ipods from their Itunes store. Look for The Hiccup Mummy under their newest published books. 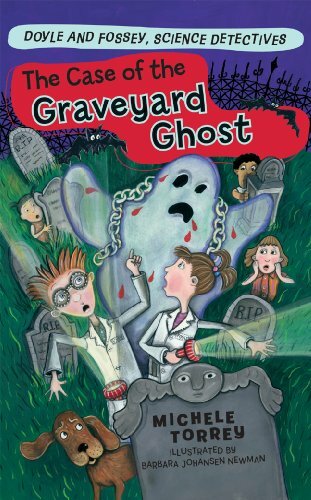 This fun little Halloween story follows a brother and sister as they stumble on a mummy with a bad case of the hiccups. They try to cure the poor mummy with several hilarious ways (all real suggestions from multiple blogs and websites by the way). The artwork is brilliant and the mummy is a lovable laughable character… a very safe and fun Halloween book for your little ones! 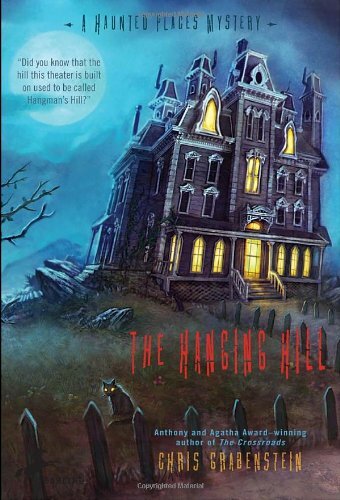 For a different kind of scary book, read “The Haunted House Kid” by Matthew Gary Milam (Amazon, B&N, Xlibris). basis. It will always be helpful to read through content from other authors and use a little something from other websites. Its a lie about handing books out inside of treats. Halloween is a scary spooky day for candy!!!!!!!!! !